Become the real jedi with this new Augmented Lightsaber. 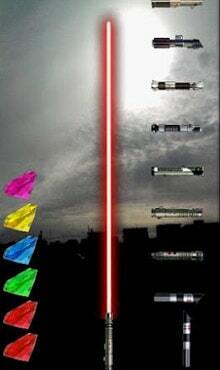 Change the blade color and hilt type to customize your saber. Move the phone around to get the different sounds of saber. Move the phone faster to get the hit sound and feel the vibrations. Slide down to hide all the icons and leave only the lightsaber to get the the most of it. Slide up to display all the icons once again and be able to change the blade color and hilt type. Sliding icons down also hides the advertisement so you can enjoy the app without looking at the ads. 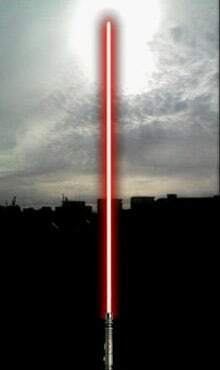 It’s the only lightsaber on the market that let you use the camera image as a background to your saber. A real must have for every fan.